To begin our celebration of Black History Month, we want to share some of the many events available in the St. Louis region. Choose the ones that speak to your interests, or choose a venue you’ve never been to, and take time to purposefully learn and celebrate. The list below is just a fraction of what is going on this month (more here!) let alone the work, art and events that go on year round – more on these to come as well! The Missouri History Museum will host a special screening, which features a compilation of oral histories of African American elders from historic black churches throughout the country. 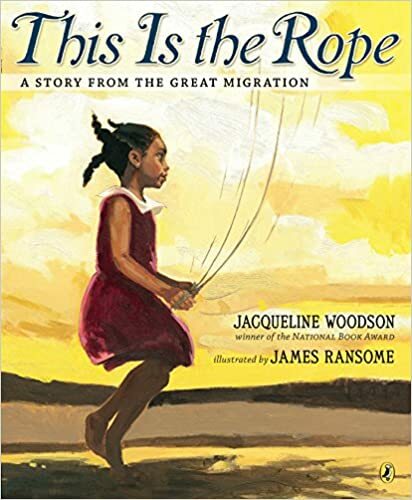 Saturday, February 9, 3 p.m. – 4 p.m.
School aged children: Children listen to Jacqueline Woodson’s book This is the Rope and map out the family’s journey on a large interactive map of the United States. Monday, February 11, 10:30 a.m. – 12 p.m.
All ages: Join us for the opening reception of this traveling pictorial and interactive display about Black high schools in St. Louis since the Great Migration. Thursday, February 14, 7:00 p.m. to 8:00 p.m.
St. Louis County Library – Indian Trails Branch, Registration recommended. All ages: Play bingo, have fun, win books. Saturday, February 16, 10:00 a.m. - 11:30 a.m.
All ages: It’s free admission for families, and will include live music, scavenger hunts, story time, hands-on activities, and crafts! It will also include our Musical Petting Zoo! Wednesday, February 20, 4:00 p.m. - 5:30 p.m.
Ages 5-12: Drop by the Children’s Section to get hands-on time with various robots and learn a little about some famous African-American inventors. Saturday, February 23, 2:00 p.m. - 3:30 p.m.
St. Louis County Library – Natural Bridge Branch, Registration required. Ages 4–11: Celebrate fairy tale adaptations featuring diverse characters through spell-binding activities, face-painting and a movie. Dress-up encouraged. Learn about local, Underground Railroad sites on a shuttle tour with J.E. Robinson Tours and the Great Rivers and Routes Tourism Bureau. The two-hour guided shuttle tours will stop at some of the sites that were part of the Underground Railroad system including Rocky Fork Church, Enos Apartments and more. For over 50 years, South African a cappella group Ladysmith Black Mambazo has spread the message of peace, love and harmony to millions all over the world. Now led by the sons of legendary founder Joseph Shabalala, the 2017 Grammy Award-winners for Best World Music Album return to The Sheldon with uplifting vocal harmonies, signature dance moves and charming stage presence. Before the concert, you’ll have the opportunity to view A World of Music – Celebrating St. Louis’ Immigrant Communities, from The Sheldon’s Hartenberger World Music Collection, in the Sheldon Art Galleries. Please let us know if you attend any of these events! We would love to hear feedback about which programs are particularly interesting and beneficial to our community. Thanks to Jade Venditte for the compilation of events!